We are coming towards the end of Organic Food Month and I’ve been trying to do my bit. I will admit to thinking in the past, that organic food was mainly for the rich and picky, expensive cuts of meat and teeny vegetables. I have been educated over the past few months though, and it is great to see that organic products feature more and more on our supermarket shelves. Sainsbury’s have been celebrating Organic Food Month with #OrganicSeptember – they currently have over 250 So Organic food products stocked in stores with more being added all the time. I was set the challenge of producing a recipe using organic products – I wanted to use every day ingredients that we would have in our fridges and cupboards. The weather started to change last week so I was right in the mood for a comforting risotto. I’ve talked about my love for risotto dishes before and am very familiar with preparing them. Meanwhile, grill the black pudding slices for 3 minutes each side and remove from the heat. Chop roughly into chunks - I like some small and some more hearty. 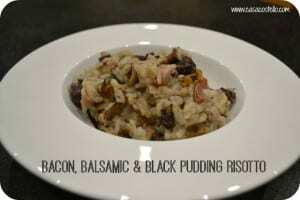 When the rice is just about al dente, add the black pudding and stir through for 1-2 minutes. This will help break down the pieces too. 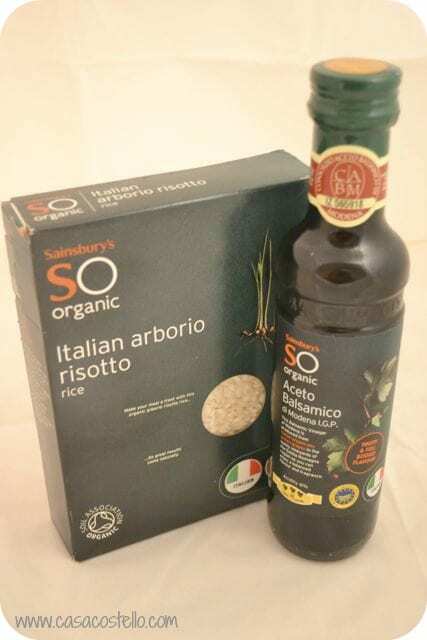 Disclosure: I was sent a variety of Sainsbury’s Organic Products and vouchers to cover the costs of any other ingredients used. I was given free choice what recipe to come up with. 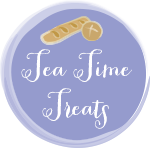 Joining in with Hedgecombers and Lavender & Lovage who are hosting this month’s Tea Time Treats linky – Its all about One Pot Comfort Food – My favourite time of year!